May 13th, 2015 – Garden Grove, CA – KDSS equipped vehicles have a different sway bar system than the standard models which requires a different reservoir location. 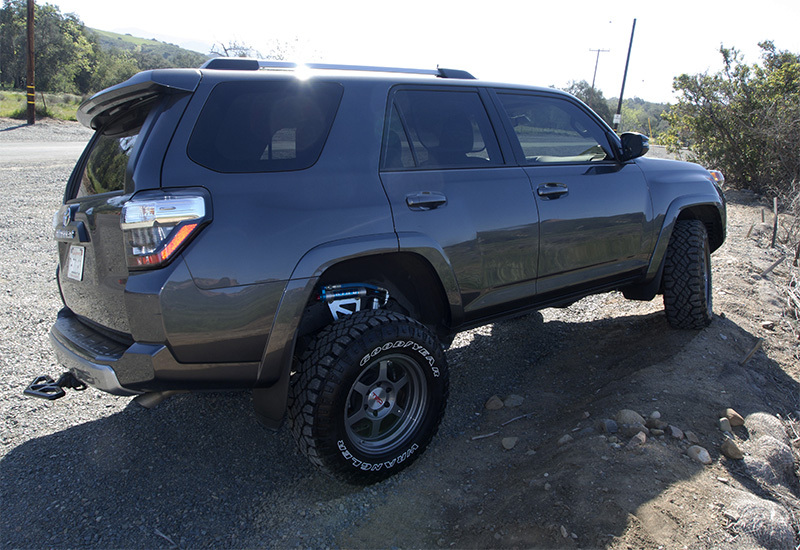 We now have a kit for those who have a KDSS equipped 2010 + Toyota 4Runner. 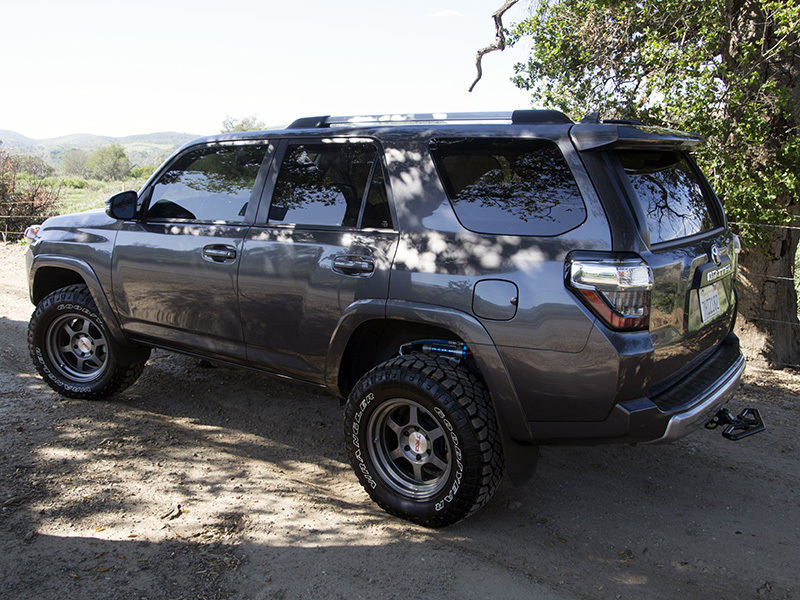 Same great kit as our current kit for standard 4Runners, but with a new reservoir location to accommodate the KDSS sway bar. Kinetic Dynamic Suspension System or KDSS is a fully mechanical stabilization system that allows jointed stabilizer bars to move independently from one another and be locked or adjusted through hydraulic pressure from a closed system. This gives greater stability for on and off road handling and a longer, independent reach for each wheel (better articulation) when on rough terrain off road. 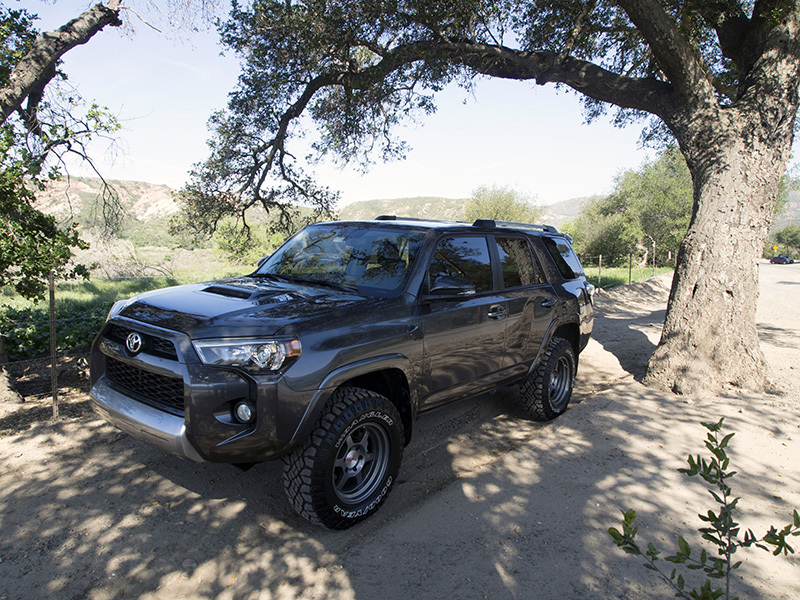 KDSS improves terrain-following ability by disconnecting stabilizer bars to allow for more axle travel, and better suspension articulation in slow, difficult terrain. All OEM Performance kits are available with optional wide range compression adjusters. King Shocks Wide Range Compression Adjuster gives you the ability to precisely adjust compression from super soft to super firm with the simple twist of a knob. The clearly marked knob offers 20 positive clicks of finely tuned adjustment. You can soften your ride when just cruising or firm up the compression when hammering rough terrain or carrying additional payload. You’ll have the ultimate in performance regardless of your pursuit. King Shock’s line of Original equipment manufacturer, (OEM), shock upgrade kits provide a bolt on suspension system that elevates your on and off-road performance to unmatched levels. Each kit has been subjected to punishing real world testing to develop the optimal damping curves and spring rates for your vehicle. Built with the same quality of materials and precise tolerances found on our high end race shocks our OEM upgrade kits enable you to experience the famous King ride quality on your daily driver or Pre Runner. Built with race winning design features our kits come complete and provide simple 100% bolt on installation with no cutting or welding done to your vehicle. Our front kits provide an adjustable ride height and up to a 25% increase in wheel travel. Rear kits typically allow a 15% travel increase. Large 2.5″ diameter shock bodies and external reservoirs dramatically increase fluid capacity and heat dissipation to provide sustained damping performance even under the most punishing conditions. Our OEM upgrade shocks feature the same serviceable design that allows for valve adjustments with simple hand tools just like our race shocks. Our experienced shock technicians are a phone call away to help should any questions arise during installation or use. Our kits are available ready to bolt into stock vehicles or with custom lengths for vehicles running lifted aftermarket suspensions. Once you ride on Kings you will know there really is a difference. Nothing rides like a King. 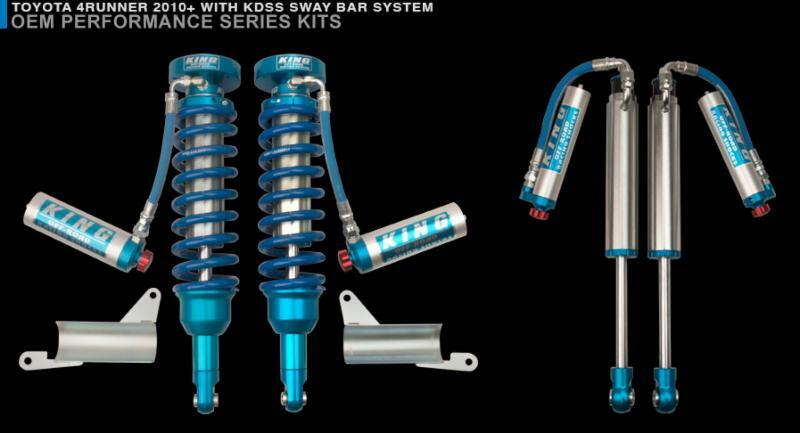 King Shocks makes world-class desert racing shocks for trucks, buggies and UTV’s. King manufactures and hand assembles all of their shocks in Southern California. King Shocks has been the industry leader for over a decade and continues to leave the competition in the dust by providing the level of quality, performance and customer service that champions demand.